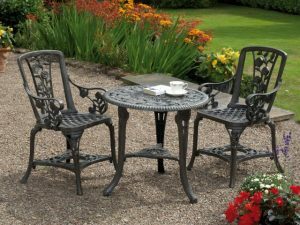 This classic bistro set is an ideal choice for adding some style and comfort to your outdoor space. 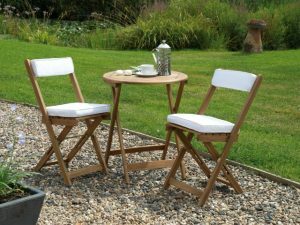 Relax in your garden, patio or balcony with our stylishly classic and comfortable Raffles Bistro set. 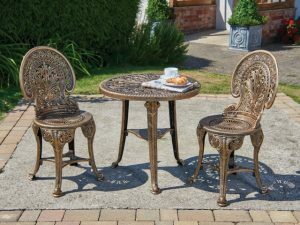 This stylish 3 piece set inspired by Victorian designs will add a touch of elegance to any outdoor space.